Malaysia is a phenomenal country that has modern, well-developed cities and is yet close to nature. The country can be clearly divided into two sections namely, the Peninsula and Borneo. 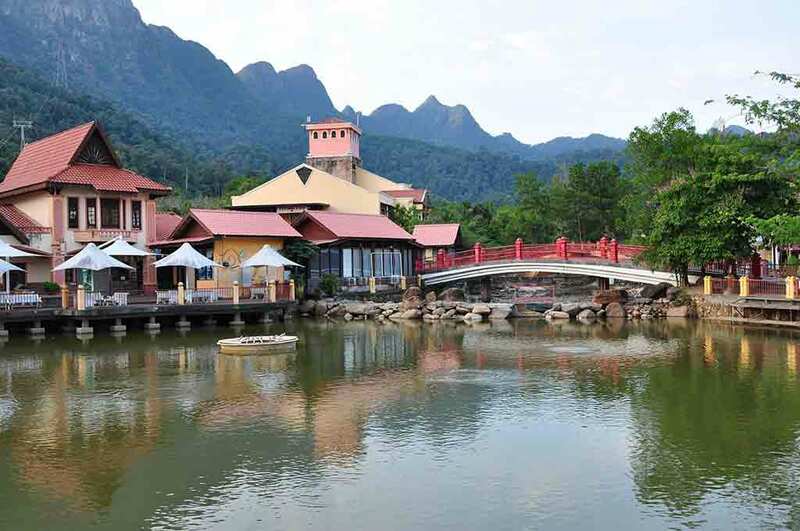 While the Peninsula includes the capital Kuala Lumpur, colonial towns and other modern cities, Borneo ensures that Malaysia preserves its natural beauty with its lush forests, mountains and granite peaks. 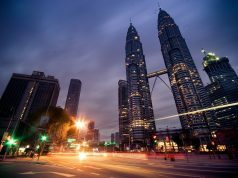 As Malaysia offers the perfect combination of both these worlds, it is one of the top destinations for people all around the world. 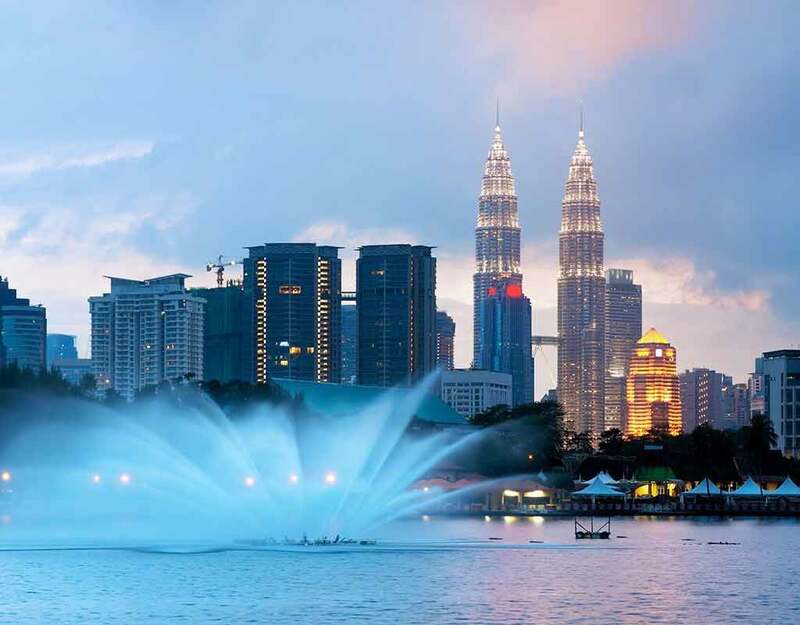 While there are several amazing places that Malaysia has on offer for its tourists and locals, we present 12 Malaysia attractions that you must see. Penang is an industrial and urban city that belongs to Peninsular Malaysia. George Town is the capital of the city and also a UNESCO World Heritage Site. George Town, as the name suggests, is a colonial town. While the major population of the town is Chinese, the architecture of the place reflects its colonial past. Apart from this, there are several places to go sightseeing in Penang. 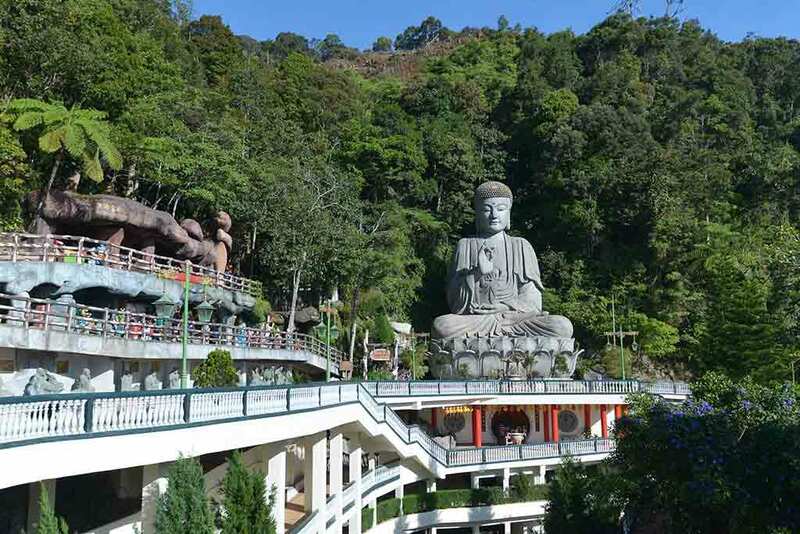 With amusement parks, beaches and various other cultural attractions, Penang offers many things to tourists. 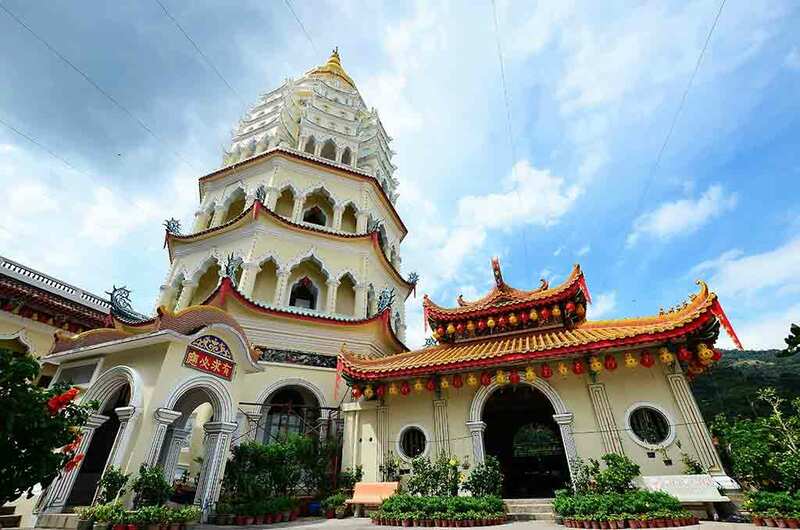 Some of the places in Penang that must be part of your Malaysian tour itinerary are Kek Lok Si Temple, Cheong Fatt Tze Mansion, Adventure Zone Theme Park, Penang War Museum, Wat Chaiya Mangkalaram, Penang National Park, Penang Botanical Gardens, Bagan lalang, Penang Khoo Khongsi, Jerejak Island, etc. Malaysia has a tropical climate and the sweltering heat of the mainland may become unbearable sometimes. However, this does not mean that you cancel your vacation and fly back home. 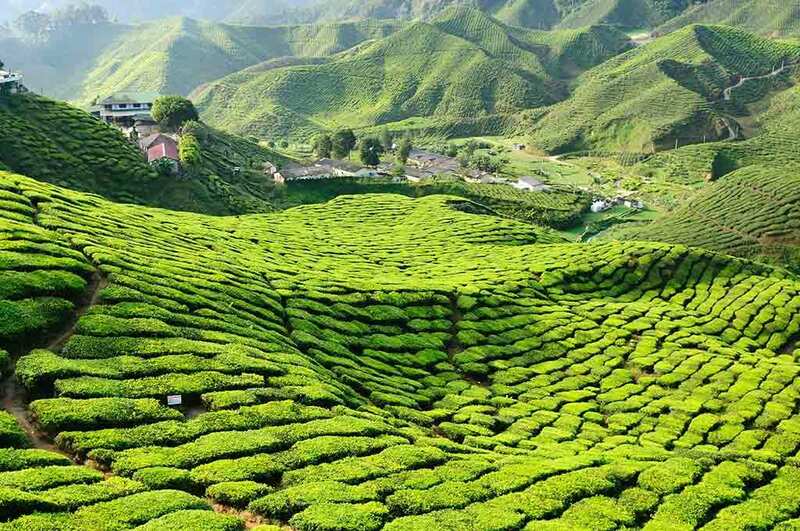 Rather, head to the beautiful Cameron Highland, which was the holiday home for the British during the colonial era. Cocooned in the beauty of nature, Cameron Highland is the perfect place to relax. Apart from being awe-struck by the greenery and the beauty of Cameron Highlands, there are several interesting things you can do here. Trek through the tracks and trails of the Cameron forest or make a trip to the amazing butterfly centres, flower nurseries, lavender garden, honey bee farms, tea plantations, strawberry farms, markets, etc. Cameron Highlands is a major agricultural centre in Malaysia and its Argo Technology Park (MARDI) is a star attraction and a place that you must definitely visit. Langkawi, located in the north-western side of Malaysia, is a group of 104 islands in the Andaman Sea. As it is bestowed with a huge coastline, Langkawi has some of the best beaches in Malaysia. Apart from the beaches, this beautiful island also has historical and modern attractions. Some of the places you must not miss in Langkawi are Langkawi Sky Bridge, Eagle Square, Underwater World Langkawi, Gunung Raya, Langkawi Wildlife Par & Bird Paradise, Pulau Payar Marine Park, Langkawi Arts in Paradise 3D Museum, etc. Moreover, the place is famous as a diving spot too. 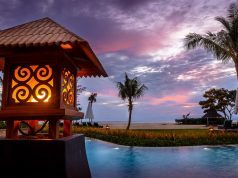 Aside sightseeing and diving, you can also indulge in partying at its various nightclubs and also enjoy some dirt cheap shopping in Langkawi. Taman Negara in Malaysian Peninsular is one of the oldest tropical rainforests in the world as it is believed to be over 130 million years old. Covering an area of 4343 square km of area, Taman Negara is a popular ecotourism destination in Malaysia. If you are a nature lover, you would thoroughly enjoy a visit to this national park of Malaysia. 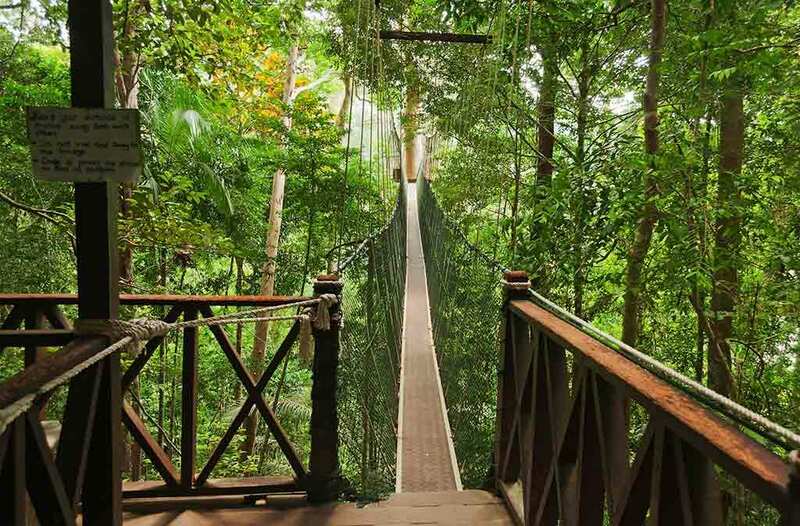 Several activities are planned in this national park for visitors, some of which include canopy walk, jungle trekking, night jungle walk, boat cruise, rapid shooting, fishing, animal observation, cave exploration, bird watching, etc. Trekking through the forest would give you a glimpse of the dense vegetation of the place. Moreover, you may also get the chance to meet some of its inhabitants like the Malayan Tiger, Indian Elephant, Malayn Gaur, etc. 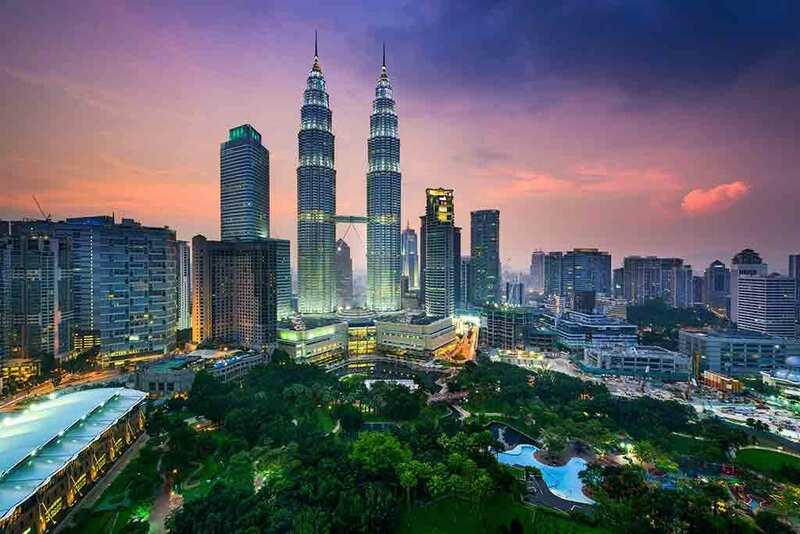 Kuala Lumpur is the capital of Malaysia and is bestowed with a modern skyline. The Petronas Twin Towers is the major landmark of the city and is also the largest twin towers in the world. Other than this, Menara KL Tower, Chinatown, Sultan Abdul Samad Building, Sunway Lagoon Theme Park, Aquaria KLCC, etc. are some of the major attractions of this city. Nevertheless, Kuala Lumpur is not just about tall and modern buildings. One of the most important places in the city is the Batu Caves, where you would find a 100 years old Hindu temple in a 400 million year old limestone hill. 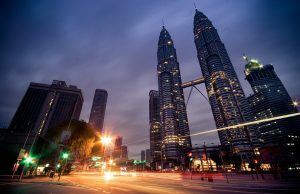 Moreover, the city is also a great place to indulge in some authentic Malaysian cuisine and also to do loads of shopping.